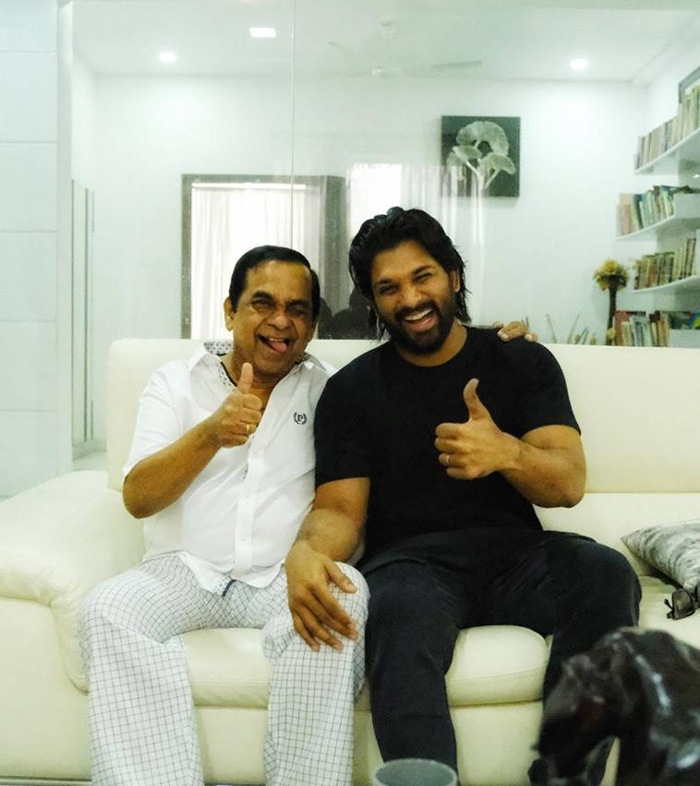 Stylish Star Allu Arjun paid a visit to Tollywood’s legendary comedian Brahmanandam to check out on his recovery after the bypass surgery. It is known that, Brahmanandam underwent heart bypass surgery recently. Post-surgery, he was put under observation. And seems like, he is recovering now. Allu Arjun grows hair, perhaps for his role in his new film with Trivikram Srinivas. The yet to be titled flick will go on floors soon.